It is a movie that carries freshness with it ... A laugh riot and a joy ride it is! The first few scenes are the high-light of the movie. It sets high expectation in the minds of the audience. India through the eyes of NRI makes it an interesting watch. The narrative focuses on details and that is where the story strikes a chord with us. Needless to say, Dulquer Salmaan looks hopelessly charming. His style steals our heart and his confused boyish expression leaves us spellbound. Man... He is here to say; definitely not just because he is superstar Mammooty’s son. I can bet that. But the show-stealer, according to me, is Gregory. He is too good. His simple expressions and effortless dialog delivery and natural mannerisms give laughing fits. Guess what? 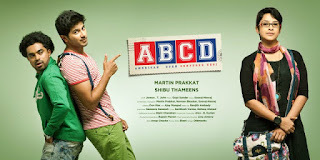 I went to watch the film because I am an ardent Dulquer fan. But, when I left the theater I knew that I have become a huge fan of Jacob Gregory too. Other artists like Aparna Gopinath and Lalu Alex does a good job too. And I say go for it!! !